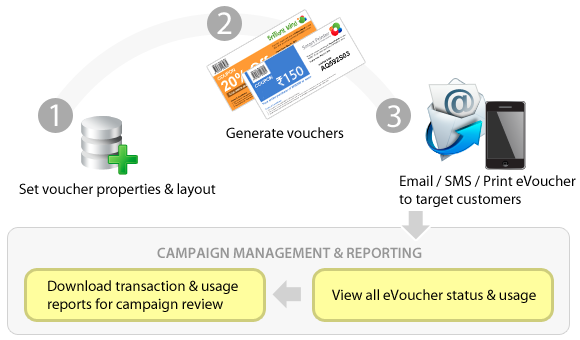 E-Voucher enables online businesses to easily create, distribute, and manage their own digital coupon campaigns across India on a single integrated platform. 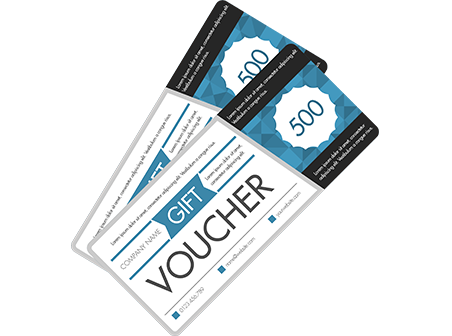 Whatever you sell, E-Voucher lets you drive customer engagement and win more customers. Captivate buyers to shop more items or make repeat purchases through incentives and deals they won’t find elsewhere. Offering money-saving deals on every transaction helps you convert one-time shoppers into loyal followers. Impulse buyers and international customers are often deal seekers. Capture their attention by giving out coupons. 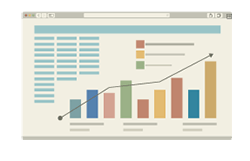 Easily track important performance metrics like coupon usage, redemption rates and more within a single dashboard. Set up campaign parameters like voucher expiration dates, discount values, and minimum purchase values in one place. Determine which coupon campaign(s) bring more sales using a reporting tool that lets you monitor transactions in detail. Create your coupon codes in either barcode (for offline/print) or QR code (for online) formats whichever you prefer. Offer discounts in two formats: fixed value (e.g. $15 OFF) or percentage value (e.g. 15% OFF). Give away your vouchers easily either thru electronic mail or as an SMS/text message with just a single click. Win more customers thru deals with E-Voucher.